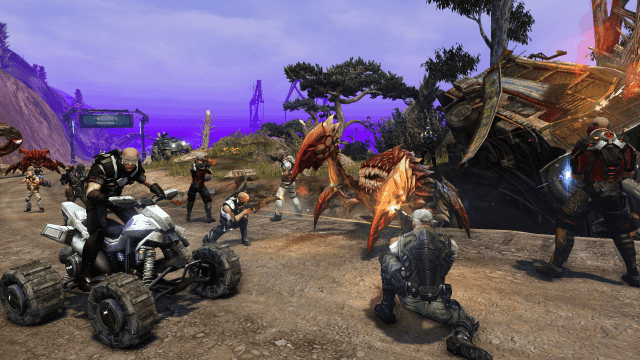 Trions Worlds have announced that the free-to-play version of the popular science-fiction MMO game, Defiance, is now available to those on the PlayStation 3 version. The PC game client has enjoyed 10 weeks of increased player numbers following its official free-to-play transition in June but until now, Sony’s PlayStation 3 community have not been able to enjoy the same experience. 10% store-wide discount – boosts, costumes, lock boxes, all of it! A bag holding several one-hour boosts or Arkforge from Ark Hunter Bonus Lock Boxes.